I am one with whom might say, how can he say such thing? He has money and can buy all he wants, why would he be depressed? Common language translates “he’s filthy rich” and “he’s got the brawn and the brains” as well. Yet I also know that Solomon’s concluding message has depth and verity that we know is credible and honest. For us to believe that he can conclude life to be vain, he should be someone who has had the experience to verify its truth -King Solomon is just that man. Now, let us consider Solomon’s majesty. As I’ve mentioned earlier, he is extremely rich. Nothing he desires in life he can’t have. Women? Top-notched architecture as his palace? built and rebuilt cities from scratch? Seriously, who does that? and he drinks from golden cups? At a tender age of 12 (some commentaries assumed this age), he inherited the throne. What I loved about David though is that he taught and reminded Solomon how he should rule. Also, we have to remember that Solomon was tasked to build the temple and this sure isn’t an easy job for a young king. “And you Solomon, my son, know the God of your father and serve him with a whole heart and with a willing mind…” (1 Chronicles 28:9-10). This passage can be said that even at a young age, David instructed Solomon what to do. This young king’s heart is founded in humility and servitude of the Lord. King Solomon displayed this attitude when he was asked by the Lord what he would want for his reign. It is a blessing to know that for a boy, he chose wisdom rather than riches, strength, power, army or anything else. Indeed, the Lord was pleased and added riches and power in his reign. Due to this wisdom, kings from all over the land came to him for advice and rightly so, he solved their problems! As gold, silver, and precious stones are added to his realm, his glory also spread across lands. Solomon, at the end of his 40-year reign indeed rebuilt the temple. With this, I have always admired the book of Ecclesiastes for its reminders and practicalities about life. Solomon, young as he was when he became king, did not let his tenderness of years hinder him from giving true service to God.In a Pauline letter addressed to Timothy, he was told to not let anyone despise him for his youth instead set the believers an example in speech, in conduct, in love, in faith and in purity. (1 Timothy 4:12) I believe we are reminded by this verse to do God’s works while we have the strength to do it. Grow in faith that when we are old, our children and children’s children will see, learn and follow the example we have set for them – serve God with all our hearts, strength, mind and soul. 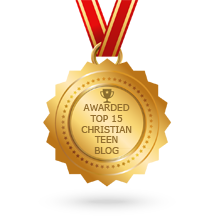 This entry was posted in A CLICK A BLESSING TODAY, CHRISTIAN TAGALOG BLOGS, CHRISTIAN TEENS BLOGS and tagged Christ, Christian, God, Jesus Christ, life, Remember God, youth. Bookmark the permalink. From youth to old age may we learn to trust in the Lord and allow Him to lead us and direct our paths. Proverbs 3:5,6. Trust in the Lord with all your heart and lean not to your own understanding. I all your ways acknowledge Him and He shall direct your paths.